The John Bowen Solaris Synthesizer is a culmination of designs taken from early analog synths and digital sample playback technologies. Combining modulation features usually found in high-priced modular systems, this synth includes dozens of sound sources and modifiers, an intuitive front panel, and amazing sound quality. Built by one of the most famous and well-known sound designers of all time, John Bowen infuses years of experience from working at Moog, Sequential Circuits, Korg, and Creamware, to implement a synthesizer that is sure to please the most discerning sound designer. Indeed, one Solaris synth could easily take the place of your Prophet 5, Prophet VS, Minimoog, Oberheim OB, and Waldorf Microwave, giving you one keyboard that does it well—and then some. 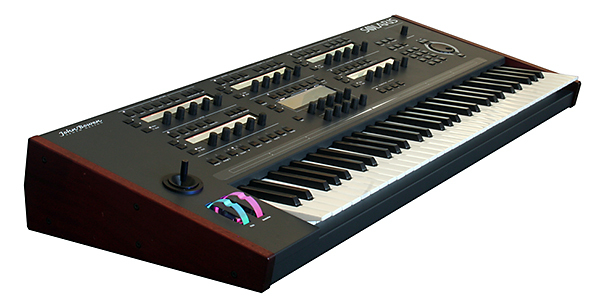 Designed as a 10-voice digital synthesizer with six separate LCD displays, a semi-weighted 61-key, mono after-touch keyboard, a 750mm Ribbon Controller, Pitch and Mod wheels, and a Joystick, it contains well over 150 parameter control knobs and switches laid throughout the front panel of the instrument. With such details as gold-plated output jacks, wooden panels, an internal sampling rate of 96 KHz, and a power source that resides in a separate casing away from the synth, the Solaris is the pinnacle of high-class. The only downside: With a price tag that goes well into the professional price range and a waiting list that is as long as a year, the Solaris is a thing of beauty that only a few will ever be able to own. On the back panel of the Solaris are eight 1/4” balanced output jacks, grouped as stereo pairs and representing each of the four stereo internal busses. Additionally, there are four 1/4” balanced input jacks used to route external signals into the Solaris for processing. Finally, there are 1/4” jacks for headphones, a Sustain pedal, and an Expression pedal; optical SPDIF ports are available as well (the manual states that these outputs actually run at 48KHz). Finally, there are MIDI In/Out/Thru connectors, a computer USB port, a slot for the CF card, power switch, and a jack for the external power supply. The Solaris weighs 33 pounds and measures 39” (W) x 16.73” (D) x 6” (H). Although, slightly deeper then most modern keyboards, it is very manageable and light for a keyboard of this magnitude. With a Fatar-manufactured keybed, the keyboard feels sturdy and well built. The Solaris is designed as a modular-style synthesizer with four internal buses, referred to as parts. Each part has a sound source, a mixer, a filter, a VCA, and an insert FX module. All parts connect to a Global FX section and a master VCA, hardwired to work with one of the envelope generators. The Global FX section can include up to four types of effects modules and can consist of either a Delay module, a Chorus / Flanger module, a Phaser module, or a three-band EQ module, wired together in either series or parallel. A signal flow diagram is shown below. The Solaris’s extensive modulation matrix, referred to as destination-based modulation, is accessed through the associated LCD panel for the component being modulated and a sub-menu designating the source of the modulation. The five parameter-view LCD panels are divided among the major components of the synth; they display such things as oscillators, rotors, mixers, Insert FX units, filters, VCA’s, LFO’s, and EG settings. Modulation sources, accessed through the mod-submenus, include such things as LFOs, envelope generators, looping envelopes, amplitude modulation processors, key tables, vector synthesis modules, lag processors, envelope followers, velocity parameters, MIDI note numbers, mod wheel, ribbon controller, joystick, and pedals, to name a few. Oscillators, in fact, can also be designated as modulators, allowing for FM-type sounds to be created. Just like in modular-based systems, oscillators and filters contain an additional modulation source input called a side chain. A side chain is a modulation source that is used to modulate a modulator; for example, an envelope generator can be a side chain to an LFO, causing it to change speed through each segment of the ADSR envelope generator. The Solaris includes oscillators that are modeled after the oscillators contained in many of today’s most popular synths, and they can also be set to generate up to six different types. Starting with the MM1 or Multimode oscillator, it generates sine waves, triangle waves, ramp waves with upward ramp, saw waves with downward ramp, pulse waves, white noise waves, tunable noise waves, sine waves that morph to saw waves or square waves, and jaws waves which combine seven saw waves, each of which can be detuned a certain number of semitones. Early analog synths are represented within the Solaris as well, with the addition of the CEM oscillator and the Mini oscillator. These oscillators were first used in the popular ASB series of tabletop synths and closely resemble the oscillators used in the Prophet 5 and MiniMoog line of synthesizers. Digital oscillators are also represented within the Solaris with the inclusion of the WT or Wavetable oscillator and the VS or Vector Synthesis oscillator. The Wave Table oscillator includes the original sixty-four wavetables from the Waldorf Microwave, whereas the Vector Synthesis oscillator includes the original ninety-four single-cycle waveforms from the Prophet VS. How awesome is that? Finally, there is a sample playback oscillator, used to play back raw audio samples that can be triggered by one or more of the Solaris’s keys. 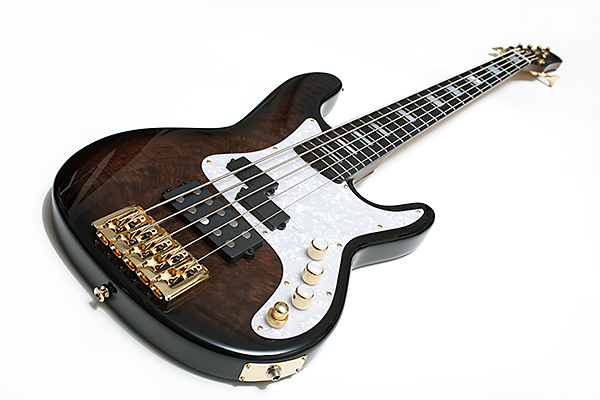 The Solaris includes several unique and interesting sound sources. The two Rotors, which are unique to the Solaris, are designed to create waveforms by stepping through sound sources that are present within any of its four inputs. The Rotor steps through each waveform at a rate designated by a tuning knob. By turning up the tuning rate, rotors oscillate, creating new and interesting waveforms. The two Vector Synthesis generators are similar to the sound sources found within the Prophet VS synthesizer. They allow for up to four sound sources to be mixed or morphed within the placement of a two-dimensional x/y graph, for example, by rotating the joystick. Sound sources can morph throughout the rotation of the joystick, with the center axis mixing all four sound sources together. The two Amplitude Modulation generators have four modes of operation: Ring Modulation, Shift, Clip, and Absolute. The ring modulation mode can be used to modulate a sound source (the carrier) by the amplitude of another sound source (the modulator). This results in a tremolo effect when the modulator is sub-audible, but when the modulator is above 10KHz, the timbre of the carrier begins to be affected by sidebands that are equal to the sum and difference of the carrier with the frequency of the modulator. The amplitude of the sidebands is equal to half the amplitude of the carrier. Along with the sound sources stated above, the Solaris includes some interesting sound modifiers. Key Tables are used to create unique tunings or scales across the length of the keyboard. Lag Processors are used to smoothing out or delay the results of an input, useful in smoothing out the zippering effect of digital modifying signals—the Solaris includes four of these. The Looping Envelope is a two dimensional, eight-stage, bi-polar envelope with the capability of looping a section of the envelope generator during a held key. The Envelope Follower is an envelope that is controlled by the amplitude of the input signal, which can be used to easily create effects such as a classic Wah sound. The Solaris has filters that can emulate six unique types of filtering. Like the oscillators, the filters in the Solaris are modeled after some very famous synths. Starting with the Multimode filter, a filter that can be set to one of twenty-three types of variations, some of which includes Low Pass filtering, High Pass filtering, Bandpass filtering, and Band Reject filtering, with others being slight variations of these four types. The filter can further be set to one, two, three, or four poles, each pole providing up to six dB of filtering. Other filters in the Solaris include the SSM filter, which behaves similar to the filters found in the Prophet 5 (24dB slope, four-pole filter), the Mini filter, which behaves similar to the filters found in the MiniMoog (24dB slope, four-pole filter), and the Obie filter, which behaves like the filters found in the Oberheim OB series of synths (12dB slope, two-pole filter). The Oberheim filters can accordingly be configured for Low Pass, High Pass, Band Pass, or Band Reject. Rounding out the remaining filter types, there are comb filters that have a frequency response similar to a comb, and there are vocal format filters which filter based upon five vowel types, oohs, aahs, etc. Finally, there is one full-featured arpeggiator and four step sequencers. The arpeggiator can have pattern lengths of up to thirty-two notes, while the step sequencers can have sequences of up to sixteen steps, and they can be used as a modulation source to any of the Solaris’s modules. The synth supports the creation of up to sixty-four pre-defined patterns and sequences. The synth supports up to 128 banks of 128 presets per bank (yikes! ), and ships with a few hundred programs on the CF-card, the first sixty-one of which were designed by John Bowen himself, and the rest from a community of sound developers who have raced to embrace this vast synthesizer platform. The CF-card also stores two sample pools, five arpeggiator patterns, and one sequencer pattern. The Solaris has one of the best user interfaces we’ve ever experienced on an advanced synthesizer—there’s a reason for all of those displays. You get to see the settings of five objects at a time (oscillators, mixers/insert FX, filters/VCAs, LFOs, & EGs) by way of the multiple LCD displays. Next to each display is a pair of Page Inc/Dec buttons and a Main/Mod page toggle button. Main displays general settings and use two pages to display all settings, while Mod displays modulation sources and uses four pages to display settings. Pages are stepped through by using the Inc/Dec buttons. Within each page, five parameter knobs beneath each display are used to change settings. Samples are stored on the CF-card in .RAW format and can come from standard .WAV files up to 32 MB in size. Samples are defined for the Solaris by specially formatted .TXT files called sample pools, the format of which is thoroughly discussed within the manual. This is one area in particular in which a computer-based editor would come in handy, by aiding in the mapping of .WAV samples to the keyboard, converting them to the .RAW format, and then auto-generating a sample pool .TXT file. With so many modules to choose from, the Solaris may seem quite intimidating when it comes to creating your own presets. We started by auditioning the many fine presets that come with the Solaris, but you can use any of the INIT presets that also come with the synth. INIT includes four parts, each with a single multimode oscillator, a mixer, a filter, and a VCA, and they are meant to be very simple—and a great starting point for personal sound creations. One thing to note concerning oscillator and filter types: once a type has been defined within a preset for a particular part, they remain that way. In other words, if oscillator one, within part one, is defined as a Minimoog oscillator, the remaining three parts can only use oscillator one as a Minimoog oscillator. Not a big deal, but you should be aware of that. Another interesting note: the Solaris always starts up with the first preset in the first bank, and unlike many other synths that we’ve used, there is no way of starting the Solaris with the last preset that was being used or worked on, something that can be of convenience if you want to pick up or start on a preset that was last used. Instead, we had to page through the banks and presets looking for the one we were working on. The synth does allow you enter a preset number via the built-in numeric keypad, though, pressing enter to load that preset. You can also categorize a preset and use filtering to narrow down your search. Presets with the same category will only show up in the preset display. Presets can have up to two categories assigned, with the search filter set to display presets consisting of both categories or to not display presets of that category. We were quite amazed by the number of modulation sources and the possible ways in which sound sources can be used. The fun began when we experimented with the Rotors, the Vector Synthesis modules, and the Amplitude Modulation processors. Since sound sources can be also used as modifiers, we were able to create some very interesting FM waveforms: We plugged a vector synthesis module into a oscillator, then we plugged the sequencer to drive a rotor… wow! We then plugged an envelope generator as a side chain input to a LFO-modulated oscillator and caused the LFO to change speed by the segments of the ADSR envelope generator, which was way cool. We modulated the panning of the Vector Synthesis module by the Amplitude Modulation processor and created a sound that morphed when the AM module hit the threshold. Again, amazing stuff here. The possibilities are endless. 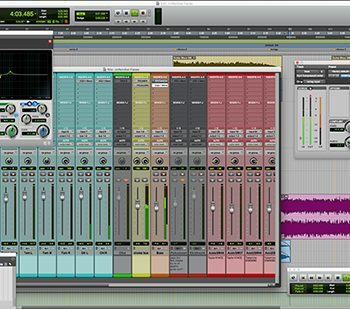 While the user interface is fantastic, we would also love to have a computer-based editor that not only handled the aforementioned audio samples but the overall sound design and library management, too. Of course, with any instrument, the way it sounds determines its overall usefulness, and once again, the Solaris does not disappoint. By basically having a Moog, an Oberheim, a Prophet, a Waldorf, and a sample playback synth all rolled into one board, John Bowen’s Solaris sounds awesome, and nearly indistinguishable from its analog inspirations. 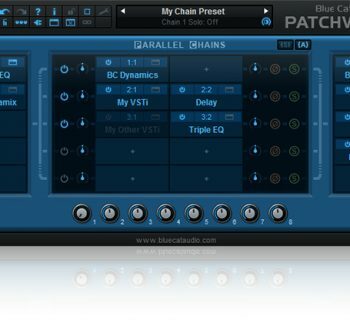 The presets make great use of the Solaris’s modules, with lush strings, cutting leads, deep bass sounds, and evolving pads. The sample playback engine sounded clean, clear, and distinct. But we need to be clear about what niche the Solaris fills: it is not a sampler, nor is it a workstation. 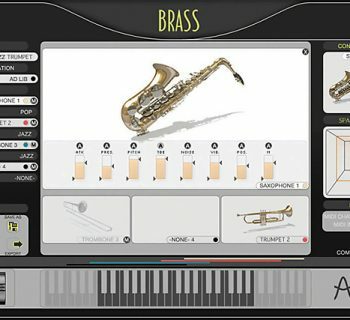 It doesn’t do crossfades, nor make sounds that attempt to accurately replicate pianos and organs. The Solaris is a synthesizer and as such, it is designed to sound anywhere from electronic to ambient in nature. 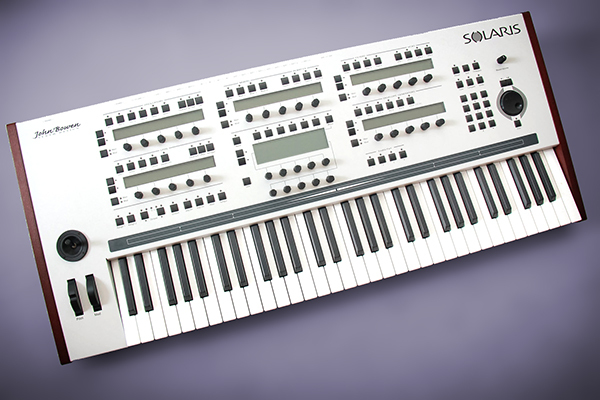 For playing live, the Solaris can handily replace vintage synths as well as computer-based soft synths with just one device, giving you superior reliability and greater overall control. The Solaris is easily one of the best sounding synthesizers available, and parting with it brings great pain and emotional distress. The manual is well written, instructing the sound designer how to use all of the modules (and the parameters used to control them), clearly and concise. Besides the printed manual (useful), the documentation can also be downloaded in PDF format (you do have an iPad in your keyboard rig now, right?). John Bowen’s website contains some very useful information including instructional videos (with John Bowen himself as the teacher) and a forums section in which users can discuss issues and experiences (John does monitor these and answers users concerns). Within the forums, we even found a link to software for renaming presets, optimizing banks, and for generating sample pools! The Solaris sells direct for $3,999 and come with a three-year warranty, but it can take some time to get your hands on one. Production runs for the Solaris are numbering fifty per run and require a $2,000 deposit. At the moment, this means you’re probably looking at a six-month lead time or more. The Solaris certainly isn’t cheap. But if you’re wondering how to justify the cost, imagine what it would cost to buy a Moog, a Prophet 5, a Prophet VS, a Waldorf wavetable synth and a .WAV playback synth. Taking that into account, Solaris is quite a bargain.